Assignment Record – Rev. 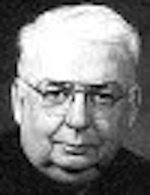 Steven F. Dawber, S.J. Summary of Case: Ordained a Jesuit priest in 1969, Dawber spent his career as a high school educator in Boston MA, Portland ME, and in Fall River MA. He was suspended from ministry in March 2002 after accusations surfaced that he had sexually abused boys at Boston College High School in the 1970s. Dawber died in April 2010. Boston archbishop was Richard James Cushing (1944-1970), followed by Humberto Sousa Medeiros (1970-1983). • Dawber was accused in 2002 of having molested a s B.C. High student in the 1970s. His accuser said that Dawber established a "mentoring" relationship with him, which lead to sexual advances. Dawber is said to have given the his accuser and other students alcohol while discussing ideas and theories with them in his Jesuit residence room. MA Academic Vice-President 1973-1976, Social Studies Dept. Chair, French, Political Science, and History teacher. B.C. High had 1260-1109 students, all male. Portland bishop was Edwin Cornelius O'Leary (1974-1988). Cheverus had 310-404 students, all male. Dawber was principal of Cheverus in 1980 when he recommended that B.C. High teacher and fellow Jesuit, Rev. James Talbot, for a teaching position at Cheverus. Talbot was later convicted of sexually abusing teen boys. There are documented indications that Dawber was aware of Talbot's abusive behavior at the time. Oakland bishop was John Stephen Cummins (1977-2003). Fall River bishop was Daniel Anthony Cronin (1970-1991). MA In residence 1985-1986; Social Studies and Latin teacher; Associate Principal 1986-1987; Principal 1987-1990. Connolly High had 720-525 students, male and female. Boston archbishop was Bernard Francis Law (1984-2002). MA History, Social Studies, French teacher; Treasurer and Minister for Jesuit Community. B.C. High had 1028-1294 students, all male. Dawber was suspended from ministry in March 2002 due to the surfacing of allegations that he had sexually abused high school students in the 1970s. There were known in March 2002 to be three alleged Dawber victims. Law was succeeded by Sean Patrick O'Malley, o.f.m.Cap. (2003- ). Dawber died April 29, 2010. Sources: Official Catholic Directory (New York: Kenedy & Sons, 1970-2007). Note: The Official Catholic Directory aims to report the whereabouts of Catholic priests in the United States on January 1 of the Directory's publication year. Our working assumption is that a priest listed in the Directory for a given year was at the same assignment for part of the previous year as well. However, Kenedy & Sons will sometimes accept updates well into the year of publication. Diocesan clergy records are rarely available to correct this information. The Directory is also sometimes misleading or wrong. We have tried to create an accurate assignment record, given the source materials and their limitations. Assignment records are a work in progress and we are always improving the records that we post. Please email us with new information and corrections. This assignment record collates Dawber's career history as it is represented in the Official Catholic Directory with allegations as reported in the media. We make no representation regarding the truth of the allegation we report, and we remind our readers that the U.S. legal system presumes that a person accused of or charged with a crime is innocent until proven guilty. Similarly, individuals who may be defendants in civil actions are presumed not to be liable for such claims unless a plaintiff proves otherwise. Admissions of guilt or liability are not typically a part of civil or private settlements. For more information, see our posting policy. This assignment record was last updated on Sept. 18, 2013.